For some reason, fairy-inspired slot games are common in this industry – everyone loves winged creatures handing out golden coins it seems. 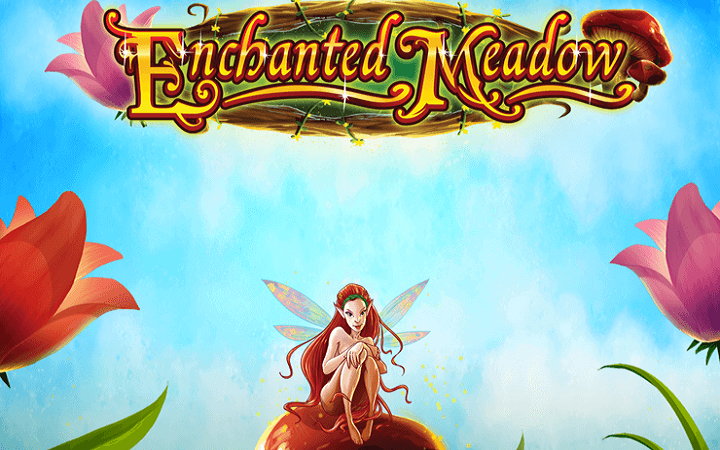 Enchanted Meadow casino slot game by Play’n Go online slots fits this description perfectly, this is a “fairy” slot game with hand-drawn and quality visuals. Not only that, it contains a nice bonus round and lots of free spins. There are 5 reels, 3 slots and 15 pay lines in the game. You can bet between 0.75 and 18.75 coins per spin, which makes the maximum bet amount a total of 750 coins. The symbols of the game are inspired by the magical theme and consist of pictures of fairy creatures. There are portraits of wild animals too. All of these are high-valued symbols, with a payout between 5 and 250 coins. Numbers and letters are used for the low-valued symbols, and they look like tree branches. The wild symbol is shown with a picture of an oak tree. Wild substitutes all other symbols (except the special ones) and pays up to 2.500 coins, if you receive five of them on reels. It also becomes “expanding” and covers the entire reel if it lands on reel 3. As for the scatter symbol, a medallion picture is used. Scatter appears only on reels 2 and 4 and awards the player with 2 free spins every time. During the free spins, reel 3 counts as wild as a whole. Lastly, we have the bonus round, which gets triggered by three “turnip” symbols landing anywhere on reels. The bonus round is a mini-game, which you play against the fairies. If you manage to find all of them, you get 50 free spins and 5x multiplier values. Enchanted Meadow online slot game by Play’n Go belongs to the “low variance” group; it pays frequently but the payouts are small. It may not be the best work of Play’n Go (that title goes to Riches of Ra), but if you like to play casino slots online, it offers more than enough features to keep you occupied. Try the free slots no download version and decide for yourself – you can use your mobile phone or tablet PC too.